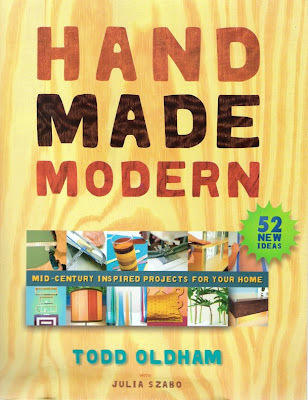 As I was browsing through my bookshelf today I was re-inspired by Todd Oldham's book Handmade Modern. If you're a design fan you're probably familiar with this book, but I thought it would be a great idea starter for spring projects. I have always been a huge fan of Todd Oldham. I would love to work with him...still trying to figure that one out. Todd, if you are reading...you REALLY need to hire me...for real. Ok, back to the book. In the product description it says, "Love the look of mid–century, modern, retro design, but don't feel like dropping two weeks' pay on an Eames chair? 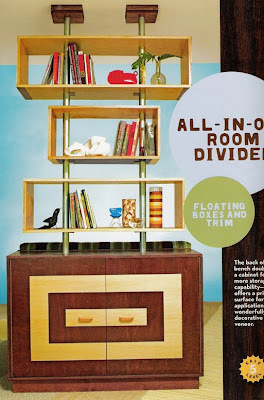 Todd Oldham shares his passion for mid–century modern homes with over 72 do–it–yourself projects for anyone who loves crafts and longs to add character to every corner of their home." Even if you aren't a big DIY person, this book is filled with colorful and inspiring images. 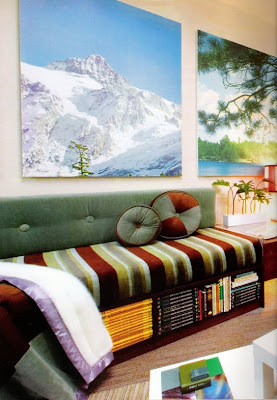 Example of the projects and ideas throughout the book including room dividers, curtains, wall art, pillows, furniture, and more. 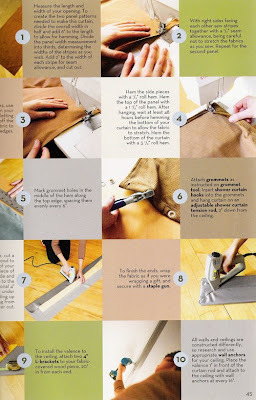 Projects are rated for ease level on a scale of one to five, and each project is charted through easy to understand step–by–step photos and instructions. 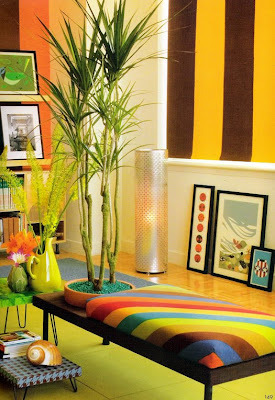 Plus, Todd Oldham does a great job of educating the reader and taking inspiration from mid-century designers like Isamu Noguchi, Alexander Girard, Charles Harper and Eva Zeisel. Get out your work clothes, tools, and check out Handmade Modern. Browse through the book here or check out the Please Sir Picks. The crafty side of me loves these type of books but I never seem to be able to motivate myself to take on these projects. Cool to look at though and one can always dream! tracy - I know what you mean - I can be like that as well. See Second Life post! Sometimes it's good to have inspiring books around for the look and when you need some spark.